Ironville Barbell Club - Roll Swole Till They Dig Your Hole. 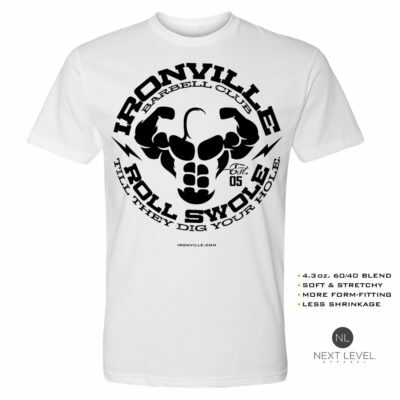 Archives - Ironville Clothing Co.
Ironville Barbell Club - Roll Swole Till They Dig Your Hole. This Ironville original includes our front double bicep figure which has been resurrected from our design vault. 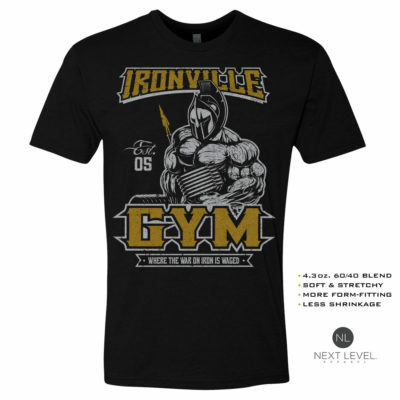 Home > Gym Clothing > Shop All Designs > Ironville Barbell Club - Roll Swole Till They Dig Your Hole.